At the 23rd International Congress for Battery Recycling ICBR 2018, Prof. Kerstin Kuchta (Hamburg University of Technology, Germany) will be giving a summary of the battery market and the circular economy. Before the conference, she gave a number of interesting insights. Professor Kuchta, the EU circular economy package was adopted just a few weeks ago. Which impulses do you expect it will provide in the field of battery recycling? The EU circular economy package has triggered a great deal of debate throughout Europe. The main criticism levelled at the package in Germany is that it is not ambitious or specific enough to bring about the intended transformation of the economy. Impulses have undoubtedly been provided towards the fundamental acknowledgement that even complex products do not become waste after the use phase, but are resources that need to be either made available for reuse or recycled for use in the production sector. As a result, product design and the provision and accessibility of secondary raw materials are also becoming more important for batteries. Changes in the transportation sector, in energy supply and the trend towards a generally more mobile lifestyle are placing growing emphasis on the production and further development of batteries and thus to the supply of raw materials. In the view of the EU, the task of the circular economy is to supply industry with raw materials. Which role can battery recycling play in achieving this aim? Raw materials for making batteries such as lithium, cobalt, nickel and manganese are scarce or critical raw materials and demand for them cannot be met by mines in Europe. Primary extraction largely takes place in a few regions worldwide and in politically unstable situations. 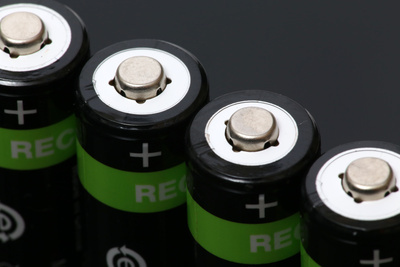 The recycling of batteries helps to reduce supply risks. At the same time, recycling minimises energy intensity in the production chain. The recycling of metals requires up to 80 per cent less energy compared to primary production, thus protecting both the environment and the climate. Some time ago, Chancellor Angela Merkel spoke out in favour of Europe setting up its own battery cell production capacities with the aim of reducing dependency on imports from Asia. Is that a good idea? Battery and storage systems support key technologies, strengthening Europe as a production location through sufficient, efficient and innovative availability. The recycling and reuse of batteries and the materials from which they are made as a means of supplying raw materials will impact production technologies and promote the establishing of innovative manufacturing within Europe. To which extent could battery recyclers benefit from battery manufacturing in Europe? The creation of a largely closed added value in circular systems not only promotes the mutual appreciation of all stakeholders, but also innovations in the system as a whole. That includes recycling, reuse, processing and, not least, product design. Geographical proximity generally promotes mutual understanding, greater interest and the development of business models. Legal or economic accompanying measures introduced to promote the reuse of materials and the exclusion of hazardous materials, for example, can be implemented in Europe. Your keynote speech at the ICBR 2018 is titled “Batteries and a Circular Economy”. Which points will your speech mainly focus on? Unlike plastics, organic wastes or construction waste, batteries have a comparatively low mass flow. However, in terms of the quality and value of their components, their complexity and their growing importance, they constitute a significant material flow in a circular economy. The focal points of my speech, i.e. the opportunities and limitations of the circular economy, product design and quality as well as reuse, recycling and cascade utilisation are presented and discussed for both battery materials and their systems. Andusia will once again be exhibiting at the leading industry event, RWM. Andusia will be on stand 4C70-D71 in the Energy from Waste Hall. The show will be taking place on the 12th – 13th September 2018, at the NEC in Birmingham. In an effort to provide a consistent metric to guide the efforts of sustainability for plastics in the Circular Economy, two of the leading global international recycling organizations have developed a global definition governing the use of the term “recyclable” as is relates to plastics packaging and products.